Founded in 1887 by the will of Princess Bernice Pauahi Bishop, a descendant of Hawaiian royalty, Kamehameha Schools’ mission is to fulfill Pauahi’s desire to create educational opportunities in perpetuity to improve the capability and well-being of people of Hawaiian ancestry. In her will, Pauahi directed trustees of her estate to, “…erect and maintain…two schools, each for boarding and day scholars, one for boys and one for girls, to be known as, and called the Kamehameha Schools.” It would be named in honor of her great-grandfather Kamehameha the Great. 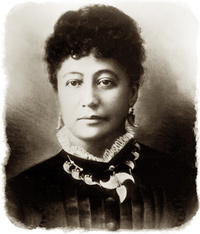 As the last royal descendant of the Kamehameha line, Pauahi inherited thousands of acres of land, much of it from the estate of her cousin Princess Ruth Ke‘elikōlani. Her inheritance, about 9 percent of the island chain's total acreage, made Pauahi the largest landholder in the kingdom. Today, her estate encompasses more than 363,000 acres of land in Hawai‘i — 215,000 in agriculture, 145,000 in conservation and approximately 5,000 in commercial and residential properties. Revenue generated by these assets fund Kamehameha Schools educational programs and services which include three K–12 campuses, 31 preschools, and more than 70 community collaborations serving more than 46,000 learners and totaling $300 million in educational spend annually. As an ali‘i (Hawaiian royalty) trust, Kamehameha has instituted a set of principles through which all land-based and investment decisions are filtered — Culture, Community, Education, Economics and Environment. This balanced approach to decision making ensures the perpetuation of Pauahi’s land, her legacy and the execution of her will.